The truth is most of us wear 20% of our wardrobe 80% of the time. We grab the same garments that we know and trust. But what if you could have an entire wardrobe full of these garments? You can! So what does the perfect wardrobe contain? No matter what your style, body shape or budget is, there are principle pieces that should make up the foundation of your wardrobe. Before we get into these principle pieces I cannot stress enough about dressing for your body shape. Learn what suits your body (not the body of the lady modeling that dress you really like). Knowing what will draw attention to your assets and disguise you lumps and bumps can save you a lot of time and money, especially when you spend hours sewing it! These principle items are those items of clothing you always go to first when deciding what to wear. You know they fit and they just work for you. 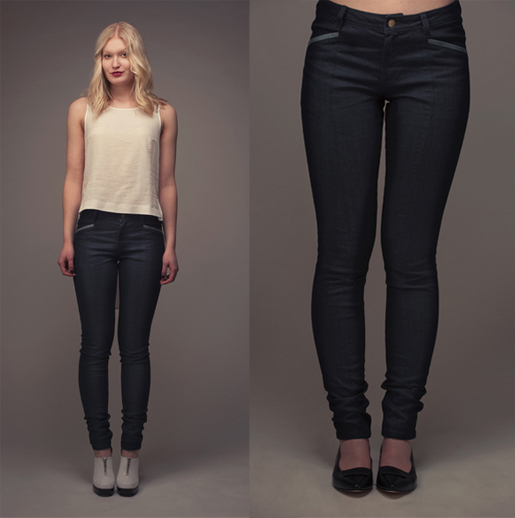 A good fitting jean is a great everyday basic garment that can be dressed up or worn casual. They are a bit of work to sew but you will end up with custom-fit jeans. 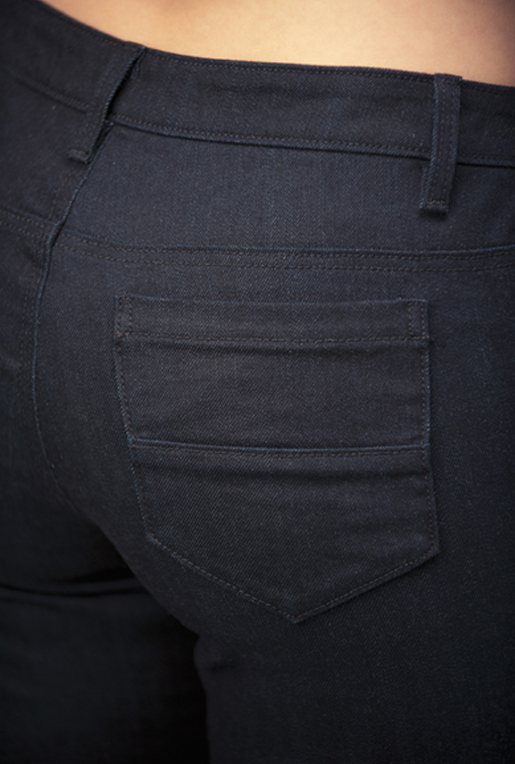 A great pattern for jeans is Jamie Jeans by Finnish clothing pattern label Named. Don’t forget that you are not limited to traditional denim for jeans. A good-fitting t-shirt pattern is priceless. Make it up in short sleeve, ¾ or long sleeve. Change the neckline from round to a scoop or V-neck. Play around with different fabrics and patterns. 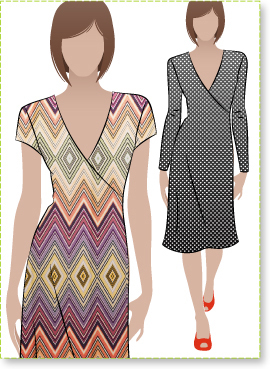 It is also a great starting point for drafting your own designs. 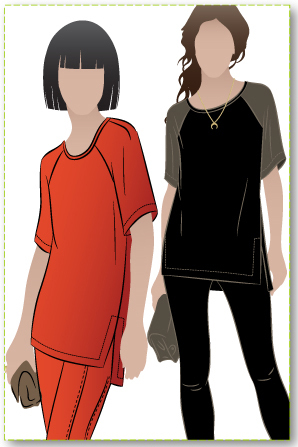 Shown here, StyleArc’s raglan Meg Tee and Jalie’s Women’s T-Shirts. A shirt can be worn all year round. Think of a classic crisp white linen shirt or a softer more playful shirt. This is where knowing what suits your body type comes in handy. 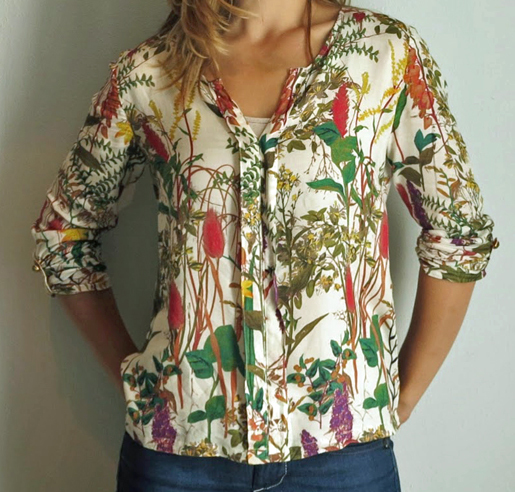 Shirts come in many different styles from loose over-sized styles with no cuffs and simple necklines to more fitted styles with darts and traditional collars. Once you find your favorite pattern, make it in different fabrics and vary the details. 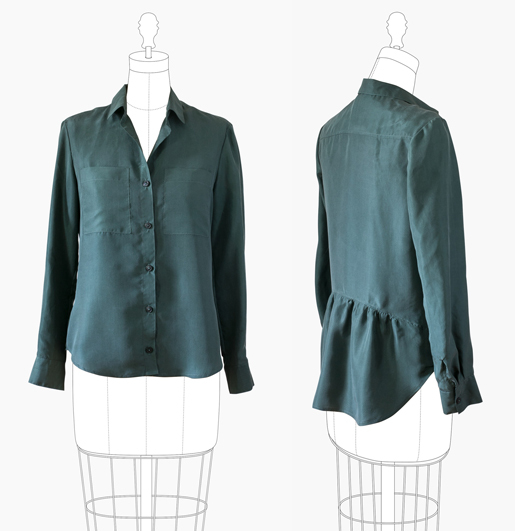 Shown here, the Natalie Top from Liola Designs and the Archer Button-Up Shirt from Grainline Studio (2 variations). Not everyone loves dresses, but they do have an advantage over separates – you only need to pick one item and you are dressed! It saves the dilemma of picking a bottom and top. Again, picking a dress style that will complement your body is really important. Dresses range from loose shift styles to fitted bodices with gathered skirt sections to classic dresses with fully-fitted darts and zips. The faux wrap Slip-On Suzie dress from Style Arc is as comfy as your favorite t-shirt, but easy to dress up or down depending on your choice of fabric and accessories. 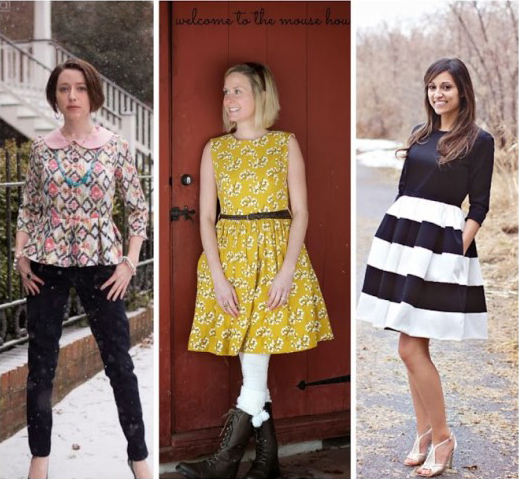 The Ladies’ Caroline Dress and Peplum from Mouse House Creations is a very versatile pattern, with numerous sleeve, skirt, and detail options. A cardigan is so versatile and easy to wear. It is one of those comfort pieces of clothing we love so well. A cardigan is a great all year round piece. Make it up in thicker knits for the winter and in lighter cotton knits for the summer. A great basic cardigan pattern is the Molly Cardigan by Liola Designs. 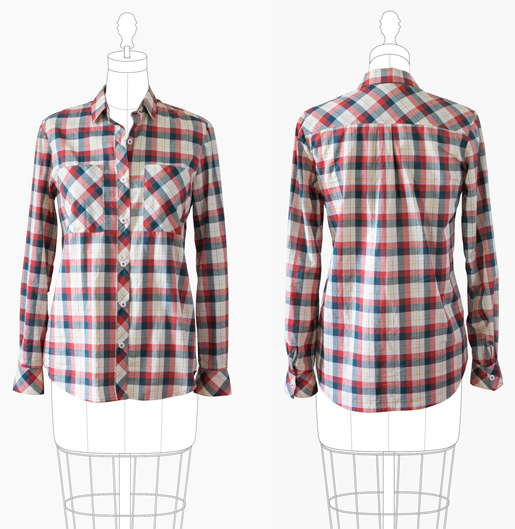 A quick and easy sew! A blazer can be very versatile. Sew one up in a classic woolen suiting to cater for a more professional look for work. Try it in a good double knit jersey for an everyday look. Once you have a blazer pattern that fits, your fabric choices are almost endless. And a blazer doesn’t have to be a traditional style either. 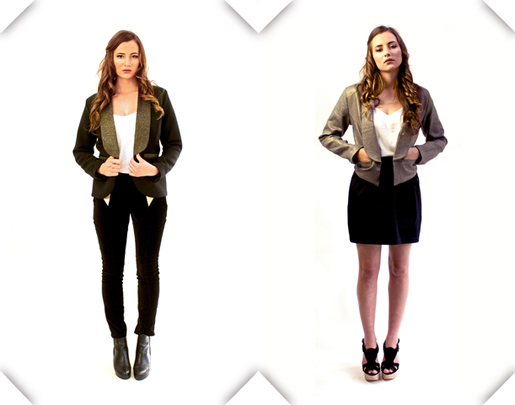 The Victoria Blazer by By Hand London and the Bellatrix Blazer by Papercut Patterns are two great starting points. The most important thing to remember is to have fun with your wardrobe. Once you have your basic patterns that you know work for you, try playing around with different fabric colors, patterns and textures. You will be amazed at how the same pattern can look completely different in a different fabric and a small detail change or two. Don’t be afraid of sewing up five or more of the same pattern from different fabrics! Visit Nicole at Liola Designs. In addition to her fabulous patterns, be sure to check our her excellent sewing technique tutorials!